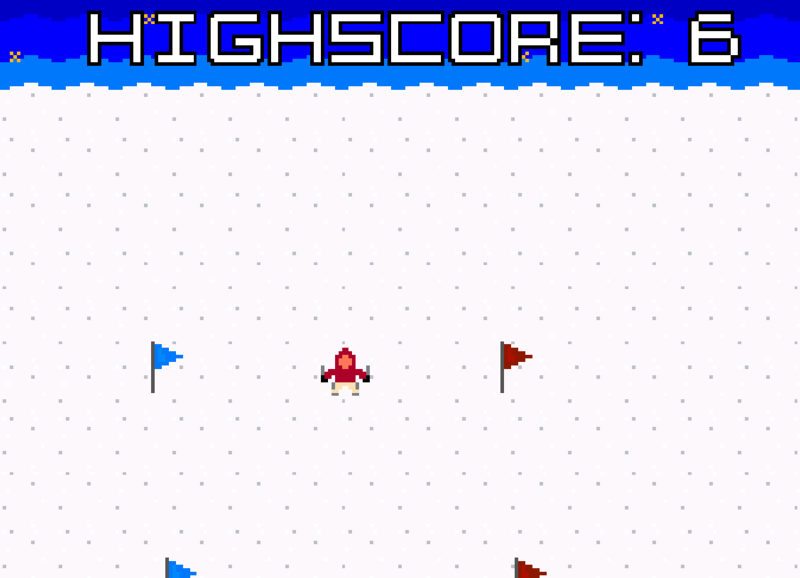 For my coursework for Programming 2 I made a game about skiing, and given certain criteria: the spacing of gates must decrease, must be able to pick up cheese, must dodge snowballs, etc. I programmed it in XNA using C#, whilst utilising my GameLibrary. I went for the classic NES styled game play, however I didn't stick to every rule/limitation of the NES (the player has more than 4 colours). In this project I created everything myself. I used software to create the sound effects, I used famitracker to create my own game music, I drew the sprites myself in Photoshop, and even drew the font myself. It's my only game I can say is 100% self-made! It was enjoyable to work through a project, fulfilling criteria (as if putting pieces of a jigsaw together). The game received 100%.